So The Sims Social Facebook application has just gone into beta status as of last week and a few days ago, I finally got myself into the game and I can safely say, I'm hooked! 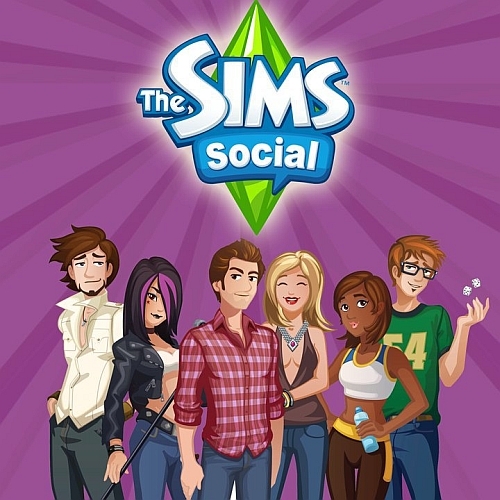 The Sims Social already has over 3 million users (and rising), and will definitely be a contender to other games such as Farmville. After a brief under-five minute tutorial with your new computer-based neighbour Bella, you are free to do whatever you want, guided by 'neighbours' who appear as icons on the left side of the screen, who give you tasks to do in exchange for rewards, experience and 'lifetime achievement points'. Tasks include working on skills (cooking, painting, writing, playing musical instrument), interacting with neighbours (such as doing mean actions, gossiping, requesting items) and doing remedial tasks such as cutting grass, repairing objects or other household chores. 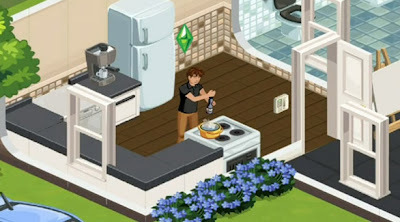 As with any Facebook game, Sims Social will constantly require you to annoy your friends by asking them to help you with many tasks. In order to build furniture, level up skills and even pass certain tasks, certain objects are unobtainable by just playing. In order to obtain them, you must send your friends notifications asking them to send it to you, which in turn requires them to play. This I find truly annoying as my Facebook philosophy is that I don't bug people with these games having been bugged by the numberous Farmville requests (which I've not blocked) so to be forced to publish something on my wall in order to proceed the game is just unforgivable! However, there is a shortcut to doing all this, why it's the sneaky Simcash! 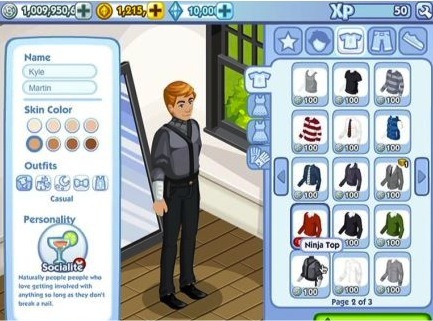 Using Simcash allows you to bypass any task and purchase rare, beautiful objects and clothes. But it comes at a cost, a cost that applies to you in real life, yes, I'm talking about real money. At the heart of any Facebook game is their way of making money, and whilst I don't condemn them for doing it (they make A LOT OF MONEY from casual gamers), it really bugs me that players who aren't willing to pay do not get the full experience, or rather, miss out on the 'best' items. 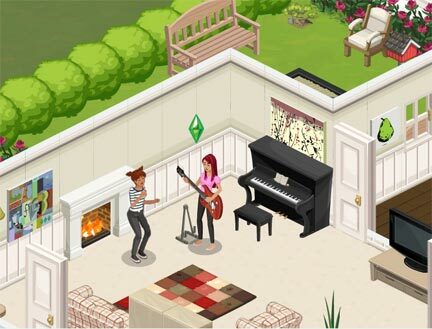 What I like about the game is that it is essentially a stripped down version of 'The Sims'. I love designing and decorating my house. That is perhaps the primary reason for me to play, earning money and buying new stuff for it. Another thing I love about the Sims which is transferred to the Facebook version is the hilarious interactions. 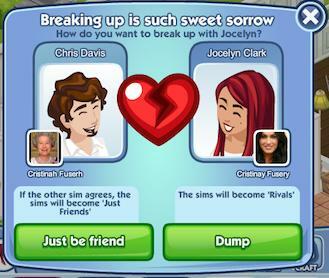 In Sim Social, you can do both friendly and cruel actions, such as place dirty underwear in friends' drawers, place whoopee cushions on their couches, rearrange their keyboard. At the other end of the spectrum, you can make you and your friends' sims become best friends or even lovers! Now the repercussions of that in real life, I'm yet to be able to report on. Currently, I'm at level 18 and I've completed lots of tasks and there's still more coming. The items in the catalog that are yet to be unlocked go up to Level 32 or so, so I'm pretty much going to be swamped with things to do until I reach that level, and for all I know, it'll be out of beta stage by then and more objects/items/tasks will be regularly added! Make sure you check it out! !